As a blogger, I love Pinterest. A lot of months more than half my traffic comes from Pinterest which is amazing. I’m not the only blogger who feels this way either. Lots of bloggers get a huge percentage of their traffic from Pinterest. All types of bloggers too. Some people think only food or DIY bloggers get traffic from Pinterest and that isn’t true. I’ve seen travel, family, health, finances, technology and all other types of bloggers regularly get their posts pinned. So it can happen for all types of blogs. If it’s not happening for you, there are probably a few reasons why. 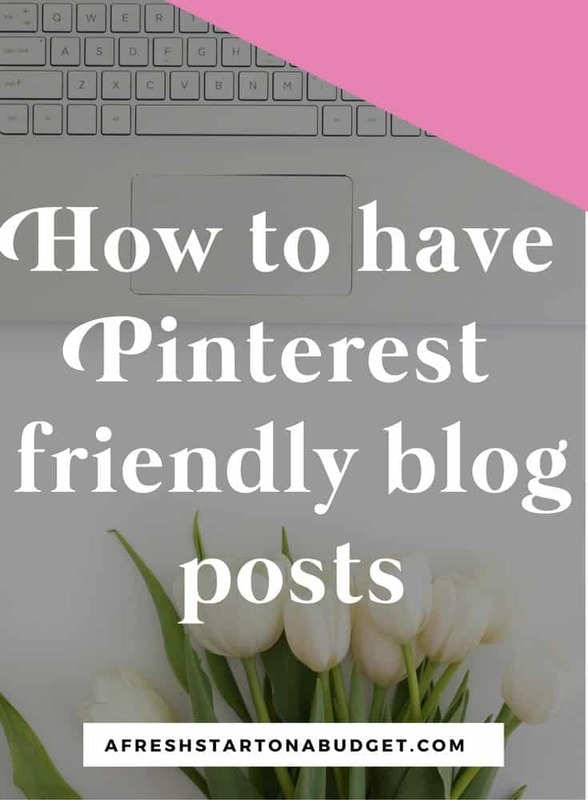 You have to set up your blog to be Pinterest friendly so that more people will pin your amazing posts and they will get seen by more people. I read a lot of blogs and I pin all the images of people who link up for my Motivational Monday’s linkup and for a group linkup I use to be a part of it. So I was always on new blogs and checking out new pages. I started noticing a few things about blogs I was seeing. There were a lot of great posts that made it hard for me to pin their posts. I thought that it might be a good idea to start noticing what about certain posts made them not pinnable so if you are doing the same things, you can make some changes to your posts. The more pinnable you make your posts the more they will get on Pinterest and get repinned on theirs. I think that the most important thing you can do to make more Pinterest friendly blog posts is to have a pinnable image. Sometimes I’ve heard this called a hero image. This is the star image of your post. So often I see posts that don’t have a pinnable image. They either have no image which is a big problem. If there is nothing to pin I guess I’m not pinning that post even if it’s awesome which is no good. I have a large Pinterest following so I want to share great posts, I really do. So have an image and have a pinnable image. A pinnable image is an image that is the star image of the post. In my posts, these images usually have some kind of text on the image so when pinned people can see right from the image what the post will be about. An example of this is the image at the beginning of this post. Your Pinnable image should also be horizontal and tall. Taller images do better on Pinterest so have your Pinnable image be tall. This is your star image for the post. That doesn’t mean you shouldn’t have more images. More images are great and people can pin any of them but having one tall image with text is usually the image that I will pin and usually the image that gets pinned from my posts. 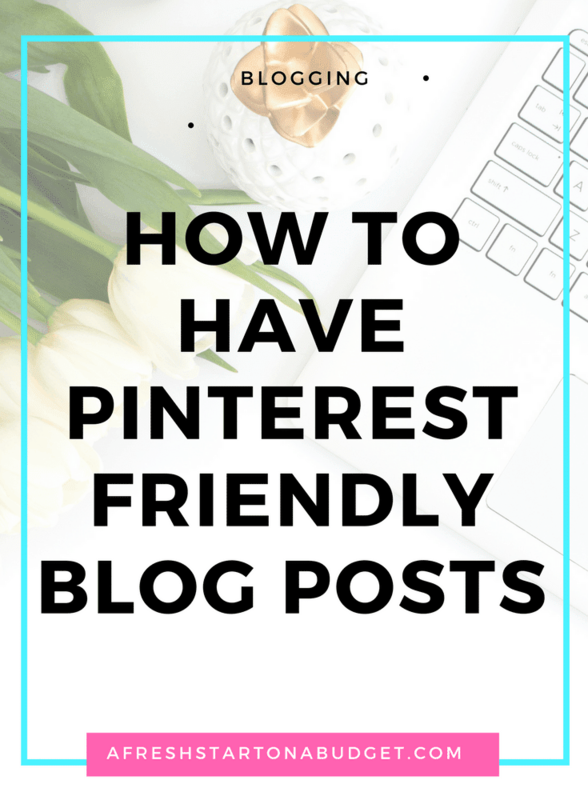 I also see a lot of bloggers that don’t have any kind of Pinterest buttons, which is making it more difficult for your readers to share your posts. This to me is silly because there are so many ways to give your readers the ability to share your posts on Pinterest. One way is to use the Shareaholic plugin in WordPress. Just install the plugin and activate it and add the channels you want to have available, including Pinterest. You can also choose to have a pin it button that shows up on your images when you hover over them with your mouse. Here is what it looks like on my Halloween post with the pin it button lit up in the corner. This button makes it so easy for your readers to just pin an image from your post right on to Pinterest. I adore when bloggers have added this button to their blog. It makes me so much more likely to pin that post when this button is there. For WordPress users, you just need to install Pinterest Pin it Button for Images. Next under the heading Show “Pin It” button on following pages, click All Pages. Click Save. This plugin comes with the default “Pin It” button as seen in the image above. Now you should have a Pin it button that appears when you hover over the image. Easy! Peasy! If you are on Blogger and not WordPress: follow this tutorial at Code it Pretty and hopefully that will help. This is one final step that if you really want to make Pinterest friendly blog posts is to add the description to your pinnable image. You can do that right when you upload your image to your blog. All you need to do is go in and change the title and alt title. You’ve seen this If you’ve ever tried to pin an image on Pinterest and it looks like this: img_0034 as the description. You know you don’t want to leave that as your description but if it’s from somewhere other than your blog you may not feel like changing the description. Don’t make your readers go through this. 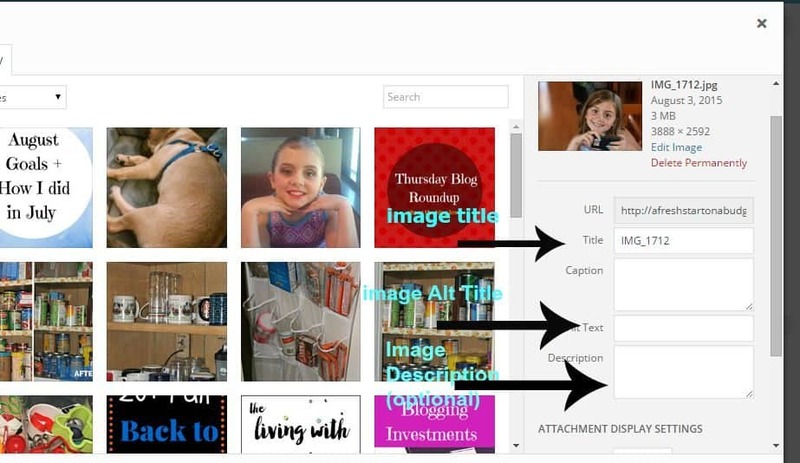 Add a description to your photos in the title and alt title sections when you upload your images to your blog. For my main pinnable image, I will go in and make a more detailed description because I know that image is the most likely to be pinned. I will add my keywords to that title. So that when the image is pinned from my blog my keywords are right in the description. Since I know a lot of you want to know how to grow your blogs with Pinterest. Here are ways to make more Pinterest friendly blog posts. Since using these tips on my own blog posts it has really helped my posts be pinned more and gained my blog traffic from Pinterest. 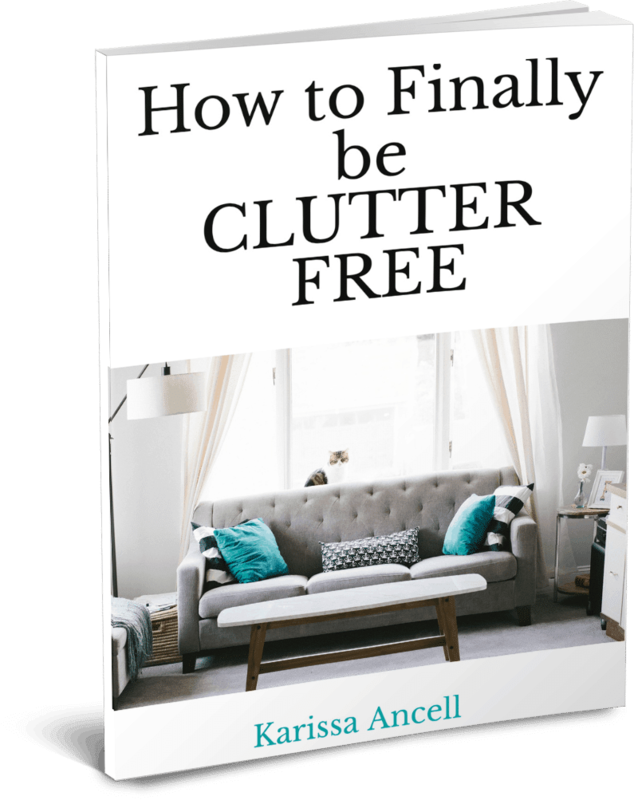 For more of my best tips on using Pinterest well and getting lots of traffic and repins check out my free course. Are these tips helpful to you? Are there any other Pinterest tips you know of that have worked for you? « A quick Tuesday Post just to share an awesome group Giveaway For cash, jewelry and more! This was so great, I learned a lot! Thank you so much for sharing your blogging knowledge!! Heidi recently posted…Blogtember Challenge 2015-Day 17- Obsessed? Yes! Great tips. I think my blog is Pinterest Friendly! Great reminders!!! Tayrina recently posted…My Blessed Week: Taking some time. this is something that i’m just now learning. i’m working on my images and making sure that they pin easily. great post! thank you for posting this! I wondered how this was done? Great post! GREAT tips…I just added the pin it button for images to my site and I will definitely add descriptions to pictures from now on…thanks. This is a great reminder about taking the time to title, alt title and describe your image in the image settings. It is so easy to not to take the time, especially if you have a lot of images. This is a really great post! 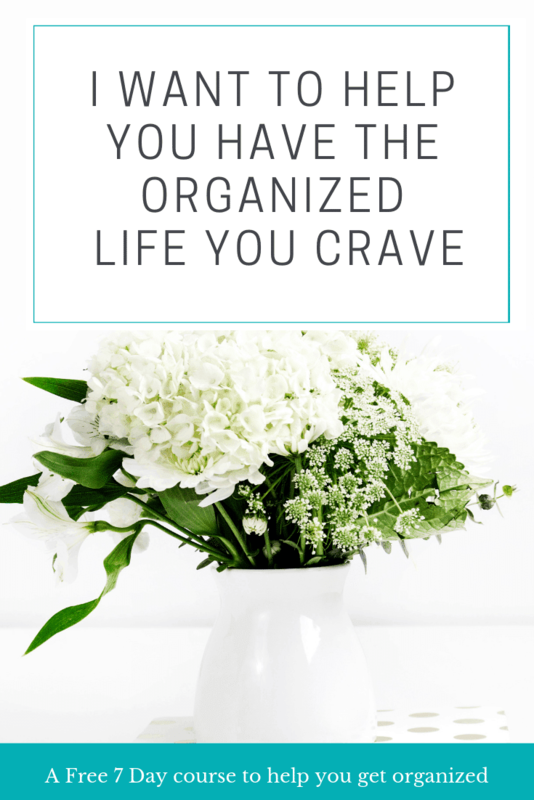 I just started making ‘pinnable’ images on Canva about a month and a half ago.. and it has helped out my Pinterest traffic SO much!! Great post! As a new blogger (can I still call myself that after 7 months? ), I saw the benefit of adding Pinterest to my site very early on. I get more traffic with much less effort from Pinterest than Instagram and Twitter. Great tips re: the image description, I plan to work more on those. Vertical images are SO important for bloggers to have in their blog posts, especially the title post. Square & horizontal photos do not do well on Pinterest. Awesome tips, thanks for sharing!! Great tips! 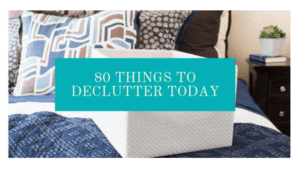 Pinterest brings the most of my traffic so I try and do these things too. Very smart tips! I do all of these things, but would love to see more re-pins! haha I have found that facebook groups really help with that! Great tips for making Pinterest work for your blog. I always pin my posts and ensure they have a title on them. I always forget about Pinterest. Myabe it’ll help me more to get back on it! I’ll have to remember your post. 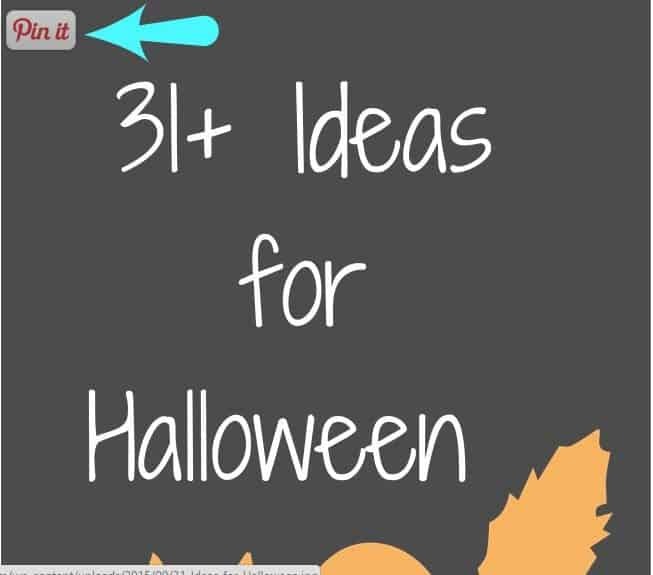 Thank you for sharing this info because I often find posts I’d like to share on Pinterest but they either don’t have a photo or a Pinterest share button. I’ve got a large Pinterest following as well so it would benefit the sites I read to have a way to share their posts on Pinterest. I hope they all read this lol. Excellent tips!! I need to start using them ASAP! Roxanne recently posted…The Ebbs and Flows of Parenting- I’m Still Here! Such good tips! Thank you for sharing! great tips to remind us to be diligent in making sure to have pics worthy of being pinned. Why should we write these great blog posts if we aren’t going to go for pin worthy photos? I tried setting up a Pinterest button on my blog ( I am via Wix) but it did not work for some reason. Do you have an idea of how I can get the Pin it button to work on a Wix site? I have my own name and domain but it is still on Wix. I don’t get any traffic from pinterest, so I should definitely make use of your tips! Thanks for bringing it to my attention! Excellent information. My blog post today highlighted some of this information. It’s always good to include a pin able photo. Thanks for the tips! I’ve been working on making my posts more pinterest-friendly! this was super helpful, thank you so much for the help. Thank you for this! I’m bookmarking. 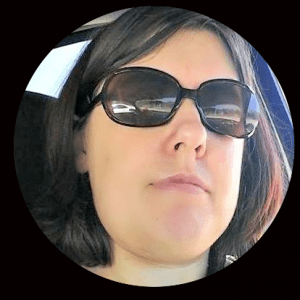 Shelly recently posted…Meet Amanda, My Solidarity Sister! Great tips! Pinterest is such a great traffic source. These are such great Pinterest tips. Super important that bloggers are using all of these ideas if they want to be seen on Pinterest. I always find your posts super informative and this one is spot on! Kirsten recently posted…Kid Friendly Spooky Destinations in Illinois and a Major Giveaway! I didn’t know that about the image so thanks for that info. Super important. Adding descriptions is so important! It drives me nuts when I go to pin something and it says IMG_1234. I’ve tick marked all the tips in this post and am presently playing around with creating pins for my blog posts which I can upload directly and then edit for the relevant blog post. Now to read the other posts you’ve recommended. Cheers!